As sweet as cinnamon: Dear Sweet Friends.. The girls and have have loved remembering Angela when we play or sew or even sniff this present. It arrived a little later than expected and Angela had a very anxious wait for me to say it had arrived...a month later than expected. A game of extra large snakes and ladders.. 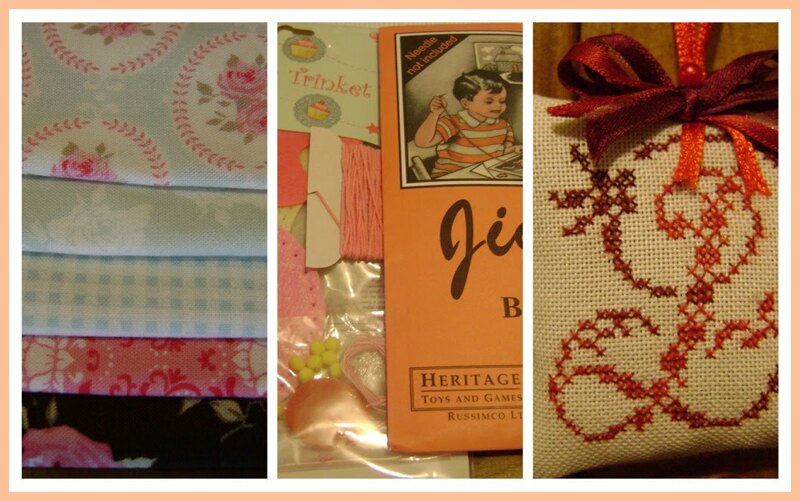 Some yummy Tilda fabrics. A sewing set for each of the girls ... how cute! from Angela's garden and Customs here decided it was not on. I rang and asked why?? so sweet and smells gorgeous..
You are our very special faraway friend.. I love the lavender sachet too...smells yummy..
someone else with a little bit of your Love! That's nice that he sent it to you anyway. I guess they are only doing their job. Hi Dawn, some present this morning when I saw you as a new follower! But more of a present when I viewed your blog. Gorgeous thing you made, really everything I love! I'll come and visit you again! I can't tell you how thrilled I was to hear that the lovely lovely man at Customs "decontaminated" :>) the lavender sachet and sent it safely on it's way. I had begun to fear the worst. That must be one of the nicest stories about officials doing their job that I've ever heard. I love that my little girls enjoyed their presents. Hope your knees didnt ache too much playing the giant game of snakes and ladders on the floor...haha! 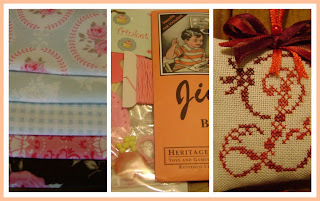 Thought you would find a good use for the Tilda fabrics and the ones you received from Fiona are absolutely gorgeous too. Such lovely gifts Dawn! So glad the nice man from customs let your lavender through, maybe they have those sniffer machines and the lavender set them off? Who knows the mysterious ways of customs agents, lol. What a nice customs man :)! Lol, I wonder if he sews or if he had a lady friend sew it back together after decontamination?? Some lovely gifts there.